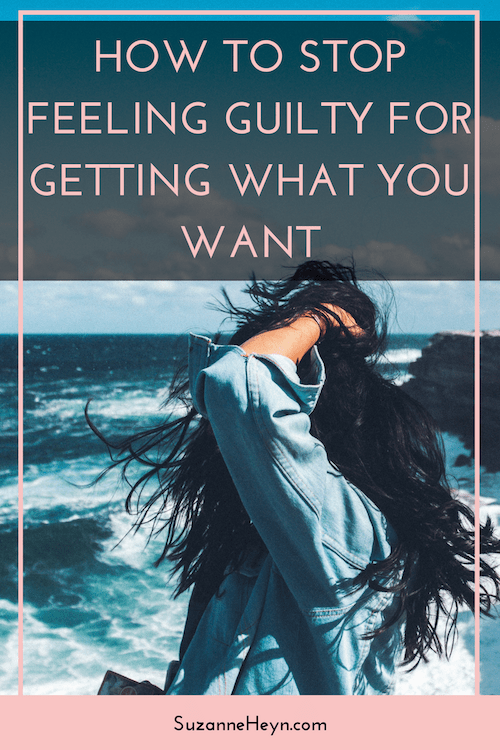 Why is it that we feel so guilty for getting what we want? Until this current problem is over (because there’s always a next one). Until you change the job (but the same you gets the new one, and most times, it’s not much of an improvement). Until you make the money / set the boundary / ditch the toxic relationship. Some of these things can drastically improve your happiness, but only if they accompany the kind of internal shifts that result from inner work related to the source of what created the situation in the first place. The thing is, we obsess over getting what we want. But, I’ve come to believe, the main reason we don’t have what we want, is because we don’t let ourselves receive it. I’m writing this from the airport, headed to Bali. I’ve been dreaming of traveling f o r e v e r, and in fact had all the opportunities in the world the first time I lived in Arizona, but didn’t let myself receive them. All while complaining endlessly that I hated my life. Of course, this wasn’t necessarily a bad thing because it caused me to look inward for the first time in my life with the real, true dedication to accept myself and my life. A process that led me to do the 40-day yoga practice that would become the basis of my program The Big Shift — which is running again starting the March new moon! The point — everything that happens in life is ultimately an inward journey. And so even if we end up suffering at our own hands, it’s easy to beat ourselves up about this. But looking at this with the eyes of love, it’s important to connect to a sense of compassion. Compassion for our own suffering. Compassion for our own folly. Compassion for we, who are trying the best we can, and are sometimes so confused and out of whack in our humanness. So here I am, going to Bali. And I feel so guilty. Guilty that I get to have this amazing experience and wondering if I deserve it. Guilty, impossibly guilty, for getting what I want. This is helping me see myself more deeply. How, although I do try deeply to be grateful, how ungrateful I am in some areas of life. How I cause some of my own suffering by blaming some of my problems on other people. How I don’t always treat the people who love me as good as I should. And that’s the thing about finally, finally, allowing ourselves to receive. And why it’s important to feel the guilt and do the thing, receive what you desire, anyway. When we allow ourselves to receive, we feel s a t i s f i e d.
This allows us to show up more fully and joyfully, to truly serve as opposed to giving with an overall sense of grumpiness and unease. It allows us to vibrate joy and happiness and wellbeing, and that is how we change the world. How much suffering in this world comes from people who are unhappy because they feel depleted, because they’ve made up stupid rules for themselves, perhaps even subconsciously, about what they do and don’t deserve to receive, and so sabotage themselves from experiencing what they want, and so continue to live in a general malaise without much hope for the future? Everything is related, and the ability to receive experiences is connected to the ability to receive love, money, energy (without exerting more than you intake) —everything. I invite you to undertake this inquiry in your own life. Become aware. Where are you blocking yourself from receiving what you most desire? Where are you telling yourself you don’t deserve what you really want? Why do you NOT want to receive what you say you want? << that can be a really powerful exercise. You are worthy of it all.